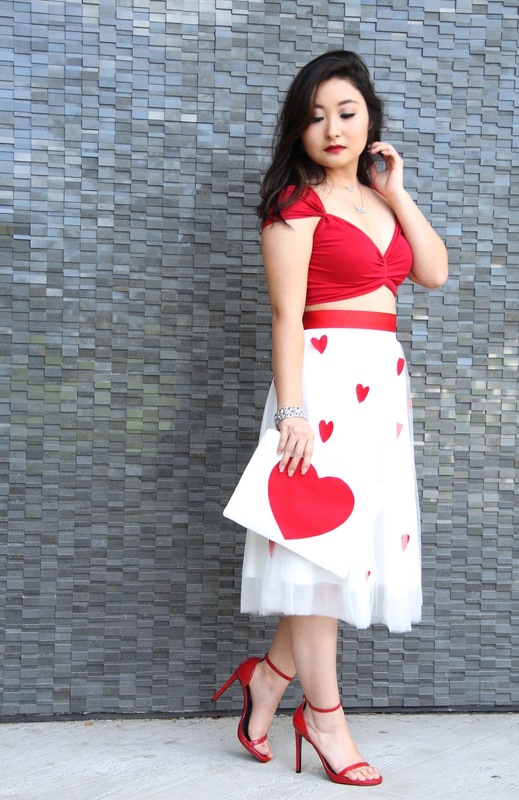 Valentine's Day is just around the corner and I wanted to share with you my festive outfit! Last month, I sketched out an idea of what I hoped this skirt would look like and I am so thrilled about the way it turned out! 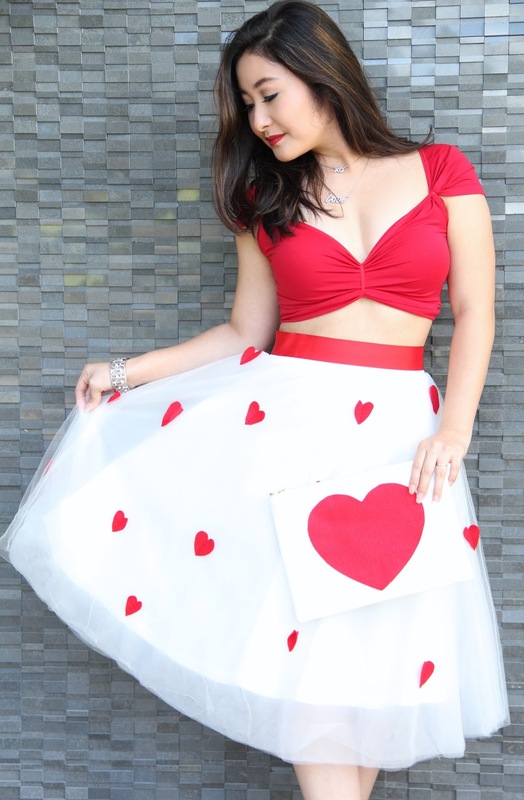 I purchased the white tulle skirt from Charlotte Russe and sewed on mini hearts that I cut out from sheets of felt. I wanted the hearts to be three-dimensional so that they would look as if they were wings of a butterfly about to take flight. 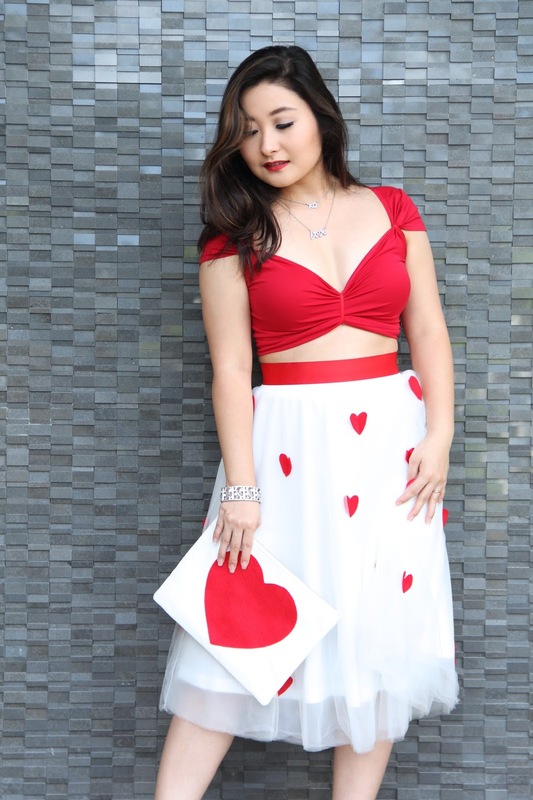 For the red crop top, I jazzed it up with a little red tulle to create a deep sweetheart neckline and for the clutch, I cut out a red felt heart and glued it onto a white clutch for a whimsical matchy-matchy accessory. To cinch everything together, I created a red belt sewing the ends of a strip of ribbon and punching on a few snap buttons. As for the jewelry and red heels, they were not DIY projects, but they really pulled the whole look together. 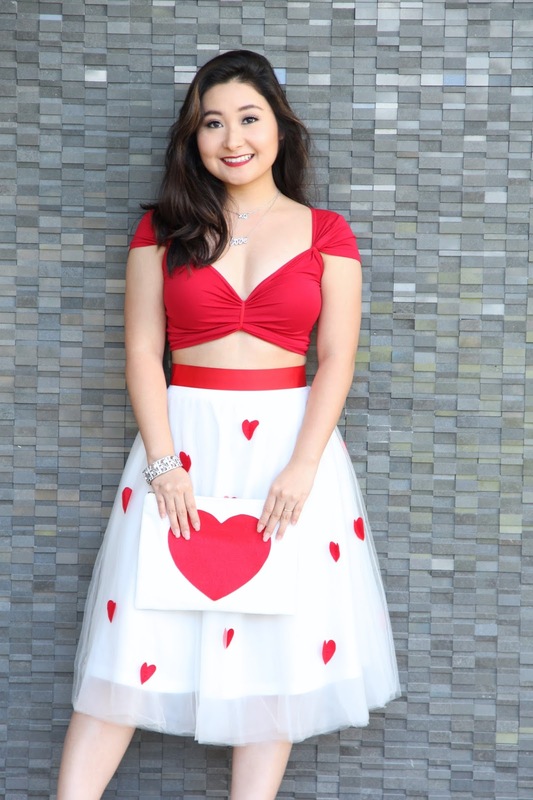 I must say, cutting and sewing the felt hearts onto the skirt took me back to my art classes in high school. It has been a while since I have done a DIY project and honestly, I miss it. To me, creating art is like creating magic. There is nothing more rewarding than making something beautiful out of simple materials-nothing fancy. Although I am a style blogger, I am first and foremost, an artist at heart. Hope this outfit post brightens your day! I wish you all a wonderful Valentine's Day filled with love and hopefully, lots of chocolate! As always, I'm sending you lots of love from my heart to yours!